Genghis Khan and the Mongols are generally portrayed as ruthless butchers who slaughtered entire cities and left behind great piles of human bones as memorials to their conquests. In this revisionist history, Jack Weatherford chooses to portray the Mongols as builders as well as destroyers of civilization and not nearly as destructive as they are portrayed. The Mongol conquests of China and Persia are described in great detail. According to Weatherford the Mongols executed outright the aristocrats, the soldiers, and those who had no apparent value for them. The rest of the population would be divided into groups according to skills. Those with special skills such as the literate, craftsmen, or entertainers would be taken as captives to the rest of the empire where they would hone their talents in the service of their new Mongol overlords. The peasants would be used as a labor force for the Mongol Army. They would do such tasks as pushing siege engines, or filling moats for the Mongol soldiers to cross. Weatherford also discusses Mongol beliefs. He deems it unlikely that the Mongols would have built large piles of human bones because their taboos around death were very strict. Mongols never viewed death as a form of art. Weatherford instead attributes this practice to Tamerlane who falsely (according to Weatherford) claimed descent from Genghis Khan, but who was really more a Turk than a Mongol. The Mongols also avoided torture, he argues, even when it was gruesomely practiced by the civilizations they conquered. 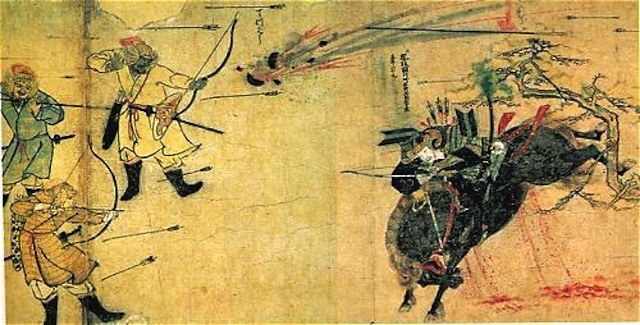 Weatherford attributes various important innovations to the Mongols. They created the first international postal service, introduced paper money, and modified the previous Chinese invention of gunpowder so that it would explode instead of burn. However, the primary importance of the Mongols was their facilitation of cultural exchange. Vast areas of Asia along the silk-road were opened up to international commerce. Playing cards and noodles were introduced to Europe, the checking of the pulse was introduced to the Middle East, and lemons were introduced to China. Weatherford attributes the European Renaissance to their encounter with knowledge from the Mongol empire. The Mongols also reformed the social systems of the peoples they conquered. He claims that Russia and China were united into the large nations they are today. Taxes under the Mongols were lower than under other kings. Freedom of religion was granted in the empire. Weatherford speaks glowingly of Shangdu, the capital city of Kublai Khan, the grandson of Genghis Khan and one of his successors. There artisans and merchants from all over the known world could be seen plying their trades. Weatherford does a thorough job demonstrating that the Mongols made great contributions to civilization and that their brutality was exaggerated. Nevertheless, his argument is not without its weaknesses. 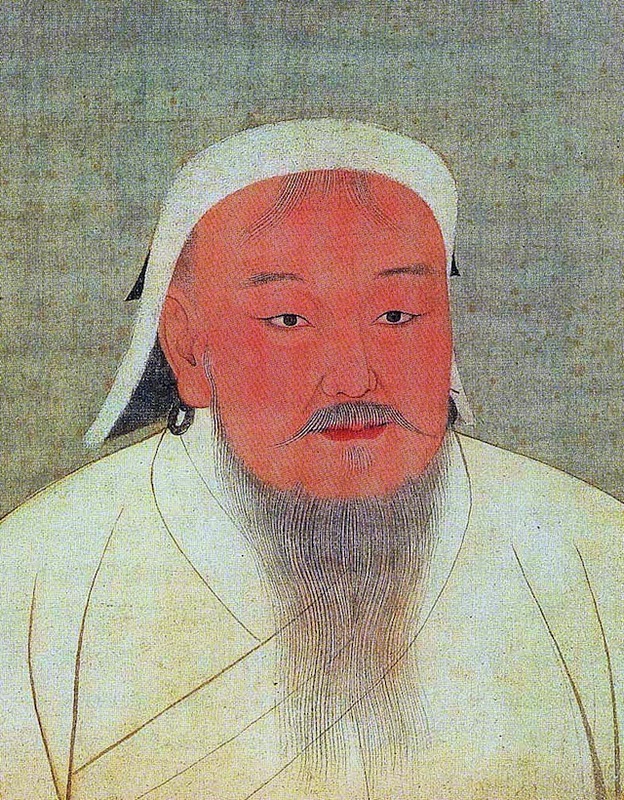 He does not give any figures as to how many died at the hands of the Mongols due to indirect causes. The laborers who the Mongols impressed likely died in great numbers. The Mongol army was highly mobile and did not contain the vast wagon trains which a vast slave labor force required. An incident noted by Weatherford in which the Mongols destroyed the farmland in a large part of northern China likely led to great starvation amongst the Chinese peasants who depended on that land for sustenance. 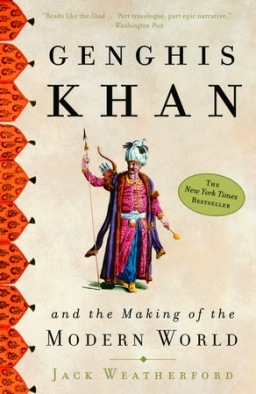 Genghis Khan and his successors may have created a vast glittering empire, but it came at a price.